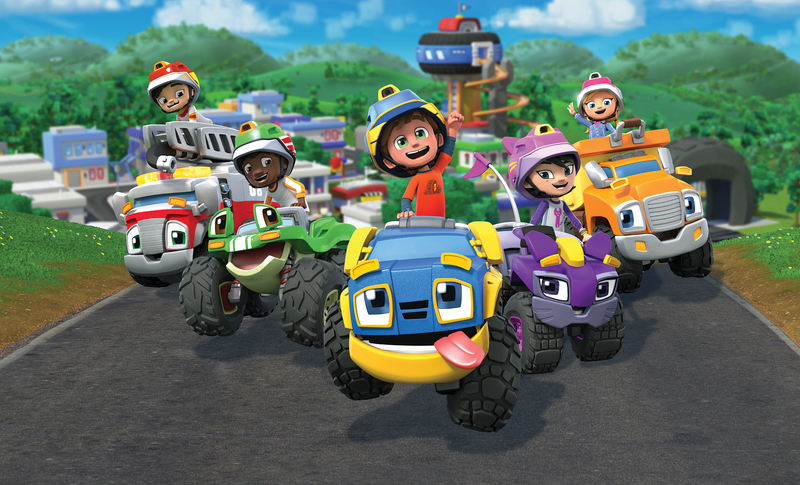 Halifax, NS – 2 October 2018 – DHX Media (or the “Company”) (TSX: DHX, NASDAQ: DHXM), a global children’s content and brands company, and Alpha Group, one of the world’s largest developers of animation and toys, are pleased to announce a co-investment in the brand new animated preschool series Rev & Roll. DHX Television’s Family Jr., in Canada, and Alpha Group’s Jiajia channel, in China, have co-commissioned the new CGI-animated series, which is expected to begin delivering in fall 2018. DHX Media and Alpha Group will be presenting the new series at MIP Junior and MIPCOM this October. Rev & Roll (52×11’) follows the adventures of eight-year-old Rev and his best friend Rumble – a rambunctious anthropomorphic truck with all the personality of a loyal and enthusiastic dog! Amped up and always raring to go, Rev and Rumble are an energized pair of truck-powered pals who are living the childhood dream on their family’s ranch, Accelerator Acres. As part of a ranching family and the tight-knit community of Fender Bend, Rev and Rumble live in a revved up world where vehicles live side-by-side with their human best friends. From lovable trucks to curious dune buggies to quick thinking fire trucks, the world of Rev and Rumble is always in motion with jobs to be done and fun to be had! Add Rev’s best friend, Avery, and her ATV, Alley, to the mix, and the laughs keep on coming! Alpha Group Co., Ltd is the largest and the first public animation & toys corporation in China. With content as its core driving force, Alpha Group has successfully established a pan-entertainment group being involved in various industries including ACG contents, toys, juvenile products, feature films, media, games, merch licensing, AR & VR. Alpha Group has the most popular and the largest number of animation brands in China such as Super Wings, Katuri, David Backkom, Pleasant Goat and Big Big Wolf and global toy brands including Sky Rover, Drone Force, and others. In 2016, Super Wings won the 5th International Emmy Awards nomination. Alpha Group boasts the largest Chinese Webtoon Platform (U17), the powerful family media (Jiajia TV), the biggest Chinese infant brand (Auby) and the second-largest US juvenile product brand (BabyTrend). It has also invested heavily in feature films worldwide, including the Oscar-winning film “The Revenant” and “Assasin’s Creed” with Regency and has cooperated with more than 500 reputable partners in each of its domain.